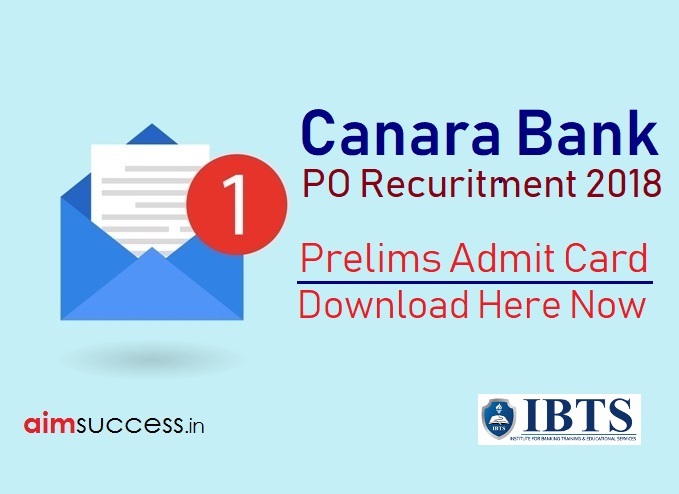 Canara Bank PO Admit Card 2018 : Canara Bank PO Prelims Hall Ticket 2018 Is Out, Canara Bank PO Exam Date, Canara PO Admit Card link, Canara Po call letter Download Canara PGDBF Manipal has released the link to download Admit Card/Call Letter for Probationary Officer. You can download the admit card from the link given below. The Canara Manipal PO Examination for the Recruitment to the ADMISSION TO POST-GRADUATE DIPLOMA IN BANKING & FINANCE (PGDBF) COURSE – 2018 will be held on the 23rd December 2018 . Before initiating the procedure to download the Canara Bank PO Admit Card you must have your online application ID, Password etc. Otherwise, applicant won’t be able to login to his/her account. So, it will be beneficial to have these details as to get the Canara PO Admit Card 2018. Visit official website Canara Bank. Keep printouts one copy for future references.